“On a ride of this length, nutrition is absolutely key to doing it well,” advises Tim. “Once you’re out past the five-hour level, poor preparation for your event day nutrition could make all those hours of training almost a waste. If you just forget to eat or don’t plan to eat you could end up doing about as well as if you’d turned up having done almost no training. “In an endurance event like this, getting your nutrition right plays a huge part in riding a good time. It’s definitely one of those parts of the ride where you need to put a plan in place.” To help with that plan, Tim suggests it’s a good idea to pack your back pockets in a way you can keep track of. “I always used to eat from the inside pocket out. 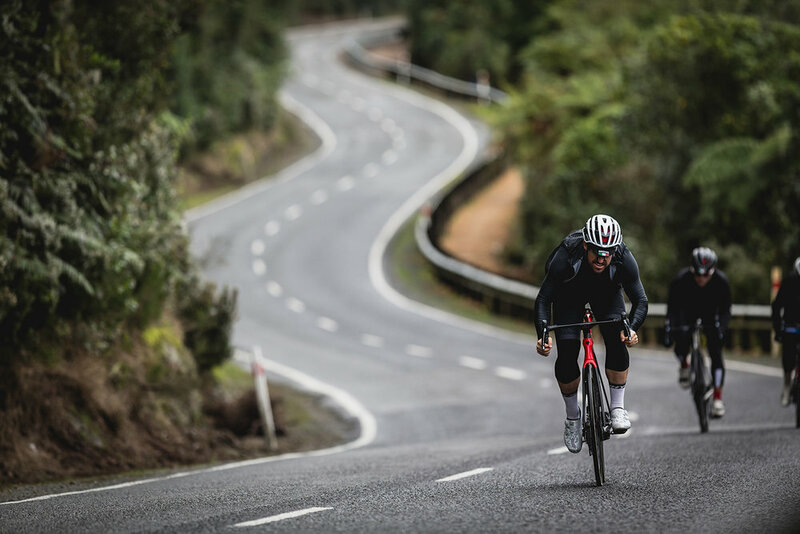 I’d go through the middle pocket first – it would be a way that I could keep track of what I was eating and I’d know within myself that the middle pocket needed to be empty after 60 km. I’d actually have a plan in mind when all that food in the middle pocket should be gone, then move on to grabbing something from the left or something from the right pocket. He says this often this isn’t the case with some riders tackling the Lake Taupo Cycle Challenge, though. “People will push really hard all the way to the top and then they will sit up and grab something to eat. But as soon as the road starts tilting down, all of a sudden it’s quite rushed, so people are trying to put their food back in their pockets or replace their water bottle while the smarter guys have already ridden off down the road. “That’s trying to ride nice and smooth for the first two hours, maybe going over a hilly section in the third hour of the ride where there’s some really tough climbs; then in the fourth hour giving yourself one tough challenge to go over, and have a crack at pushing relatively hard up there and continuing that effort down the other side and the rest of the way home. 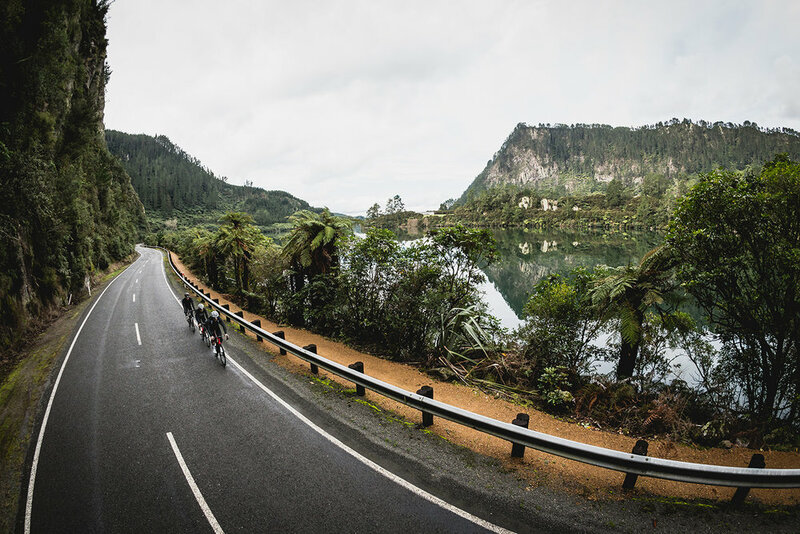 For the very best of NZ Cycling Journal, subscribe to our print edition.